Both ironically and tragically, the hateful and dangerous message of the vandals sums up the main arguments of the organization’s report. 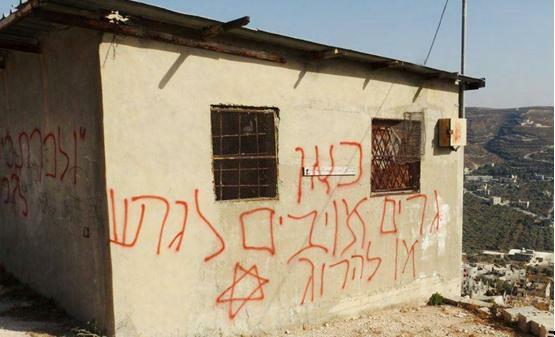 The newly released Yesh Din report Yitzhar – A Case Study details how settler violence is mobilized for taking over Palestinian land with state and military backing, while severely violating the human rights of Palestinians in the occupied territories. The latter, in turn, are forced to confine themselves to ever-shrinking spaces and live in constant fear, even inside their own homes.